IMAGE: Midget cars, called 'speedcars' outside of the US, are open vehicles built around a tubular frame with very high power-to-weight ratio. INDIANAPOLIS — A new study from the Forensic and Investigative Sciences Program of the School of Science at Indiana University-Purdue University Indianapolis explores the illicit treatment of racing tires with volatile chemicals to improve function and presents a new and effective method to determine if tires have been doctored. Using a technique they developed specially for this purpose, the IUPUI researchers, led by principal investigator John Goodpaster, Forensic and Investigative Sciences director and associate professor of chemistry and chemical biology, analyzed tires from the vehicles of first-, second- and third-place finishers of midget car races across the United States. Approximately 15 percent tested positive for illicit chemical treatment. Concerns about cheating in auto racing are increasing with the introduction of commercial products claiming to have the ability to boost performance while remaining "undetectable." Tire treatments, in particular, have become a major concern for the administrative bodies that regulate motorsports. Midget cars, called "speedcars" outside of the U.S., are open vehicles built around a tubular frame with very high power-to-weight ratio. Many of the biggest names in IndyCar and NASCAR racing drove midget cars earlier in their careers. 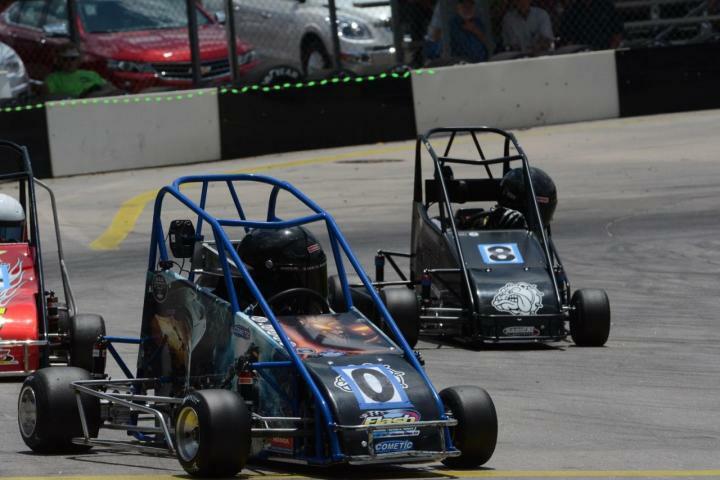 Midget cars race on small tracks requiring adroit handling of tight curves. The prohibited commercial tire-treatment products, applied in liquid form days before the race to evade detection, soften the tires, enabling better handling of curves and higher lap speeds. "We used a technique similar to that used by forensic scientists to detect trace amounts of gasoline in fire debris," said Goodpaster. "This kind of technique had not been previously used to detect performance-enhancing tire treatments. We were able to identify even low levels of illicit chemicals, which would result in disqualification if found in a competition. Out of 70 tires, 10 returned a positive result for the presence of prohibited treatments. As word circulated that we were testing tires, incidence of illegal treatments decreased." Goodpaster notes that in addition to detecting prohibited tire treatments the sensitive technique developed at IUPUI could be used to evaluate race car fuel, motor oil, lubricants and cooling agents — all of which could be chemically altered to provide an unfair advance to a vehicle. "As in other sports, there is there is a temptation to bend the rules," Goodpaster said. "Hence, motorsports administrative bodies are increasingly cracking down on abuse. Tire treatment with prohibited products and other illicit doctoring in motorsports is analogous to doping by athletes in search of gold medals, lucrative contracts or other recognition." "Detection of Prohibited Treatment Products on Racing Tires Using Headspace Solid Phase Microextraction (SPME) and Gas Chromatography/Mass Spectrometry (GC/MS)" is published online ahead of print in Analytical Methods, a journal of the Royal Society of Chemistry. Authors in addition to Goodpaster are William D. Kranz, a doctoral candidate in chemistry at IUPUI, and Clinton J. Carroll, an IUPUI undergraduate majoring in forensic and investigative sciences. The study was supported by a grant from the United States Auto Club, which also provided the tire samples.